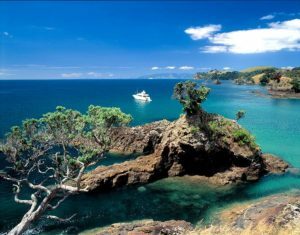 Waiheke Island – better known as paradise! Waiheke Island is situated in the Hauraki Gulf and is only a 50 minute ferry ride from central Auckland. The Island is considered paradise for many and is home to over 8000 permanent residents with another 3500 owning holiday homes on the Island. 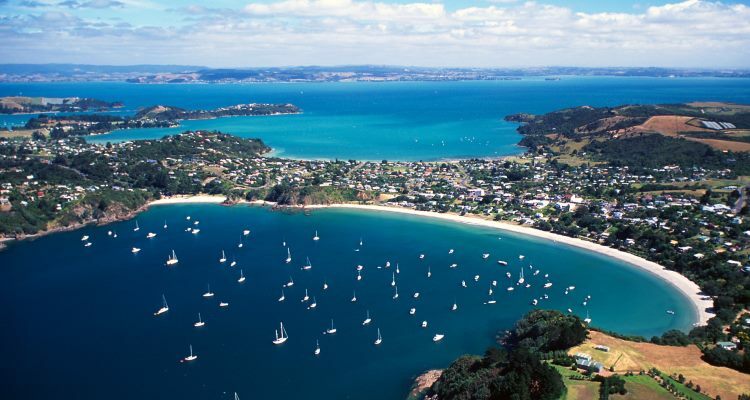 A day on Waiheke could be spent enjoying vineyards, eating in beautiful restaurants or simply relaxing by the beach. The island boasts craft shops, boutiques and art galleries or if you are a little more adventurous there is ample opportunity to go for a bike ride, a swim or even try your hand at diving and sailing. The range of activities available makes it the perfect escape for the whole family. 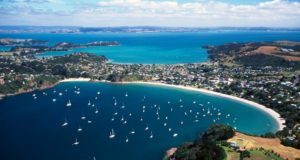 Waiheke truly showcases a slice of paradise in New Zealand and in under an hour can remove you from the hustle and bustle of every day life and there is no better time to visit than during summertime.